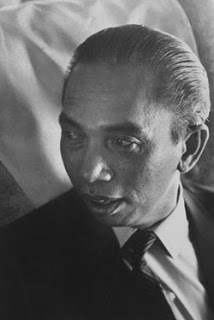 Adam Malik Biography and Profiles Coal (born in Pematangsiantar, North Sumatra, July 22, 1917 - died in Bandung, West Java, 5 September 1984 at the age of 67 years) is a former Minister of Indonesia on several Department, among others, he has served as a Minister of Foreign Affairs. He also served as the third Vice President of Indonesia. Adam Malik, who was nicknamed'' the deer "was born in Siantar, North Sumatra, July 22, 1917 from the couple Haji Abdul Malik Coal and Salamah Lubis. Since childhood he likes to watch cowboy movies, reading, and photography. After his graduation, his father told him to lead the stores 'Cheap', opposite the cinema Deli. In between his new busy, he read a lot of books to enrich their knowledge and insights. Adam Malik is the son of Abdul Malik Coal and Salamah Lubis. His father, Abdul Malik, was a wealthy merchant in Pematangsiantar. Adam Malik was the third of ten children. Adam Malik taking education in Hollandsch-Inlandsche School Pematangsiantar. He continued in the School of Religion Parabek in Bukittinggi, but only one and a half years since then to return home and help their parents to trade. His desire to serve the nation forward and push Adam Malik to go migrate to Jakarta. At age 20, he along with Soemanang, Sipahutar, Armijn Pane, Abdul Hakim, and Pandu Kartawiguna pioneered the establishment of national Antara news agency. When he was still a teenager, he had been detained by police in the Department of Political Sipirok Intel 1934 and sentenced to two months in prison for violating the ban gathered. Adam Malik at the age of 17 years has been the chairman Partindo in Siantar (1934-1935) to actively fight for the independence of the nation. His desire to serve the nation forward and push Adam Malik migrate to Jakarta. At age 20, Adam Malik along with Soemanang, Sipahutar, Armin Pane, Abdul Hakim, and Pandu Kartawiguna, pioneered the establishment of the 1937 Antara news agency based in JI. Pinangsia 38 Jakarta City. With the capital of the old desk, an old typewriter, and the machine roneo old, they supply news to many national newspapers. Previously, he has often written, among others in the newspaper and magazine Partindo Andalas Pelita. In the era of Japan, Adam Malik guerrillas active in the youth movement fighting for independence. Ahead August 17, 1945, with Sukarni, Chaerul Saleh, and Wikana, Adam Malik had run Bung Karno and Bung Hatta Rengasdengklok to force them to proclaim the independence of Indonesia. In order to support the leadership of Soekarno-Hatta, he stirred the people gathered in the field Ikada, Jakarta. Representing the youth group, Adam Malik as head of the Van Action Committee, III was elected as Chairman of the Central Indonesian National Committee (1945-1947) in charge of preparing the composition of government. In addition, Adam Malik was a founder and member of the People's Party, Party Murba founder and member of parliament. the strengthening influence of the Communist Party of Indonesia, with Ruslan Abdulgani Adam and General Nasution regarded as enemies PKI and labeled as right-wing trio of counter-revolution. When there is a change of regime the Old Order, Adam Malik position opposite to the fact that even leftists favor. In 1966, Adam was mentioned in the new trio Suharto-Sultan-Malik. In the same year, on television, he quit the party because of the establishment Murba Murba Party, which opposed the entry of foreign capital. Four years later, he joined the Golkar. From 1966 to 1977 he served as Deputy Prime Minister II / ad Interim Minister and Foreign Minister. As Foreign Minister in the government of the New Order, Adam Malik played an important role in negotiations with other countries, including Indonesia's debt rescheduling heritage of the Old Order. Joint Secretary of the ASEAN countries, Adam Malik spearheaded the formation of ASEAN in 1967. He even believed to be the Chairman of the UN General Assembly in New York-26. He was the second Asian man who once led the agency's highest court the world body. In 1977, he was elected Chairman of the DPR / MPR. Then three months later, in March 1978 the General Assembly elected a Vice President of the Republic of Indonesia-3 replaces the lane IX suddenly declared no longer willing to be nominated. Several years after the vice president, he was not able to play much. Understandably, he was a familiar agile and active suddenly only plays occasionally inaugurate the project and open the seminar. Later on several occasions he expressed his unhappiness about feudalism adopted national leader. He was such a gentlemen menganalogikannya gardener. As a diplomat, journalist and even bureaucrats, seing he said 'all could be arranged ". As a diplomat he was known to always have 1001 answers all kinds of questions and problems that confronted him. But the word 'all could be arranged' it also as a burst of criticism that the country 'could all be set' with money. After devoting himself for the sake of the nation and the country, H.Adam Malik died in London on 5 September 1984 due to liver cancer. Later, his wife and his children immortalize his name by establishing the Adam Malik Museum. The government also provides a variety of honors.